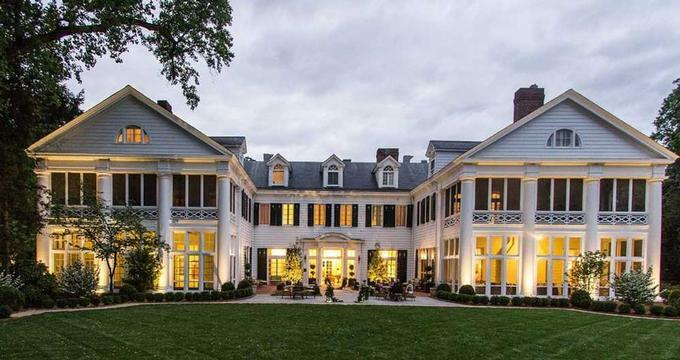 Built in 1915 and listed on the National Register of Historic Places, The Duke Mansion is one of Charlotte’s Southern belles, offering luxurious accommodations, delicious cuisine, and unparalleled Southern hospitality. 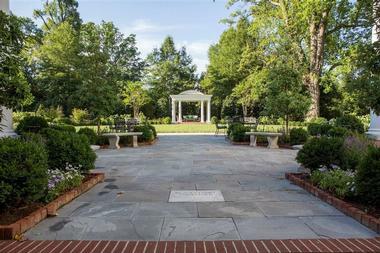 Located on Hermitage Street in the heart of Charlotte, this historic landmark is home to 20 beautifully-appointed guest rooms with classic décor and conveniences, acres of pristine gardens and grounds and an array of facilities to enjoy, including complimentary gourmet breakfasts and stylish function spaces. The Mansion is a short walk away from one of Charlotte’s most historic neighborhoods and the city center, which has delightful shops, boutiques, galleries and museums to explore. 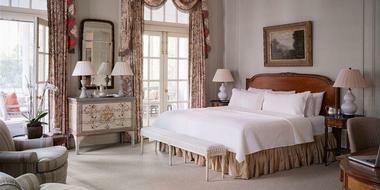 The Duke Mansion has 20 beautifully appointed, individually decorated guest rooms and suites that combine Southern charm with modern comforts. Rooms and suite vary in size and layout, but all enjoy standard amenities, including flat-screen televisions with premium channels, DVD players, telephones with direct dial and voicemail services, work desks with chairs, comfortable reading chairs, individual climate control and complimentary wireless Internet. Additional guest services include a nightly turndown service, daily newspaper delivery and gourmet breakfast served in the dining room. Standard Double, Queen, and King Rooms feature double, queen or king-size beds with goose down pillows and imported linens, spacious en-suite bathroom with showers, luxurious robes and luxe bath products and work desks with chairs. Amenities include flat-screen televisions with premium channels, DVD players, telephones with direct dial and voicemail services, work desks with chairs, comfortable reading chairs, individual climate control and complimentary wireless Internet. Elegant and luxurious, the Dowd Suite features a king-size bed with goose down pillows and imported linens, a spacious en-suite bathroom with a Roman spa tub and a shower for two, and a shared sleeping porch. Amenities include flat-screen televisions with premium channels, DVD players, telephones with direct dial and voicemail services, work desks with chairs, comfortable reading chairs, individual climate control and complimentary wireless Internet. Located on the second floor, the King Porch Room offers a lovely king-size bed with goose down pillows and imported linens, a spacious en-suite bathroom with a Roman spa tub and a shower for two, and a shared sleeping porch, while the King Rooms have private entrance halls and tree top views of the mansion. Amenities include flat-screen televisions with premium channels, DVD players, telephones with direct dial and voicemail services, work desks with chairs, comfortable reading chairs, individual climate control and complimentary wireless Internet. The Duke Mansion serves a delicious home cooked breakfast for guests every morning, consisting of hot and cold choices, freshly brewed coffees and teas and fresh fruit juice. While the Mansion does not have a restaurant, lunch, and dinner can be arranged on request, and there is room service available for wine, beer, and cocktails. 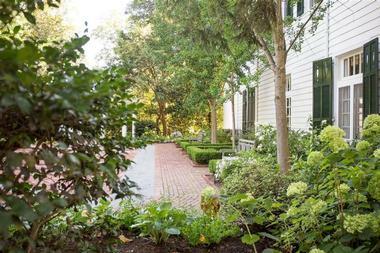 The Duke Mansion is conveniently located within walking distance of a wealth of both casual and fine dining restaurants. Amenities at The Duke Mansion include luxurious guest rooms, a complimentary gourmet breakfast each morning, a business center with access to computers, and printing, faxing and copying services, a 24-hour reception, and service desk, and a well-stocked guest library. Additional facilities range from event and function spaces, accompanied by professional meeting and event planning staff, culinary team, state-of-the-art audiovisual equipment, and complimentary wireless Internet throughout the property. Guests can stay fit in the Mansion’s fitness studio, which features a Stairmaster, a stationary bike, and a free weights section, or hit the streets for an exhilarating walk or jog through one of Charlotte's most beautiful neighborhoods. 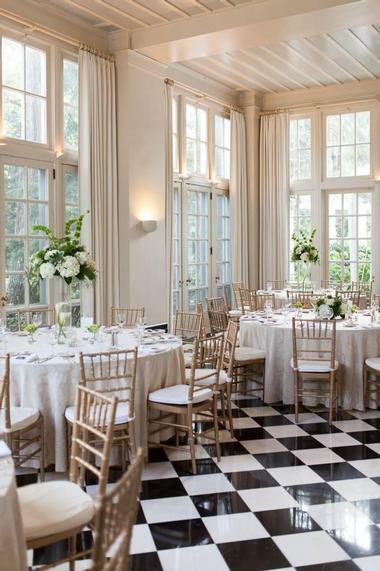 The Duke Mansion has a variety of function spaces and event facilities to cater for special occasions from weddings and receptions to business conferences and meetings. The Mansion is only available for weddings on certain weekends throughout the year and offers an array of services, including customized menus, prepared and served by a professional culinary team, overnight accommodations for the bride and groom, beautiful indoor and outdoor settings for up to 150 guests and gorgeous gardens for photographic opportunities. Functions spaces include The Levine Living Room, which is 1,460 square feet in size with floor-to-ceiling windows and a 750-square-foot glass Solarium. The Ray Dining Room is a flexible space that can cater for small to medium size groups, while the Dickson Conference Room is perfect for board meetings and planning sessions. The Lineberger Library is a cozy 350 square-foot room, which is a popular choice for private meetings or gatherings. Back to: Romantic Weekend Getaways in North Carolina and Best Things to Do in Charlotte.